At first J.K. Rowling refused to release an ebook version of the Harry Potter series. The key appears to be adding value to the free content. Of course being J.K. Rowling doesn't hurt! Listen to Neil Gaiman talk about Piracy & the web. 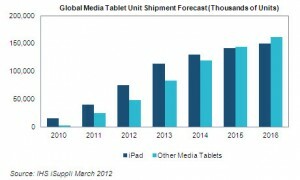 According to a report from IHS iSuppli, tablet shipments will grow 90% in 2012. The American Association of Publishers reported in January that sales of adult ebook titles rose 49.4% in January ($99.5M vs $66.6M) and ebook sales in the children's and young adult trade segment rose 475% over last year ($22.6M vs $3.9M). Dominique Raccah of Sourcebooks cites the growing functionality of e-books as a new opportunity for growth in the children's market. Right now ebooks are 5-7% of U.S. children's book sales according to Bowker. This will only increase. Take a look at her slides from TOC/Bologna. Are you experimenting with ebooks? How Can Parents and Children Best Interact Using E-Readers? GeekDad: Can Children's E-Books Provide 'A Quiet Bedtime Read'? 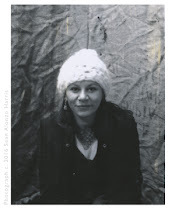 Share your ideas with us on twitter: #tkids, @cynthiajabar, @transmediakids.